Community Leaders had a vision to offer young men an alternative to the vices of the day and began the Young Men’s Christian Association as a bible study for young men. A lot has changed in the past 173 years. The Young Men’s Christian Association now includes everyone – young and old; men and women; boys and girls. The central essence of the YMCA, however, remains unchanged. We still exist today, dedicated to the development of character. Our YMCA strives to put Christian principles into practice in all of our programs by providing programs and services which develop spirit, mind and body in all of our participants regardless of their ability to pay. The Montgomery YMCA has come a long way since 1868. Our first building, the Downtown YMCA on Washington Avenue, was built in 1906 as a residence serving only boys and men with a membership of just 529 people. By 1912, membership doubled to 1,200. In those years, the YMCA reached out to the community with programs such as Indian Guides. 1948, William C. Chandler, who is responsible for transforming the modern-day YMCA we know today, was hired and founded the Alabama Youth Legislature. That program has served almost 50,000 young leaders since its inception. 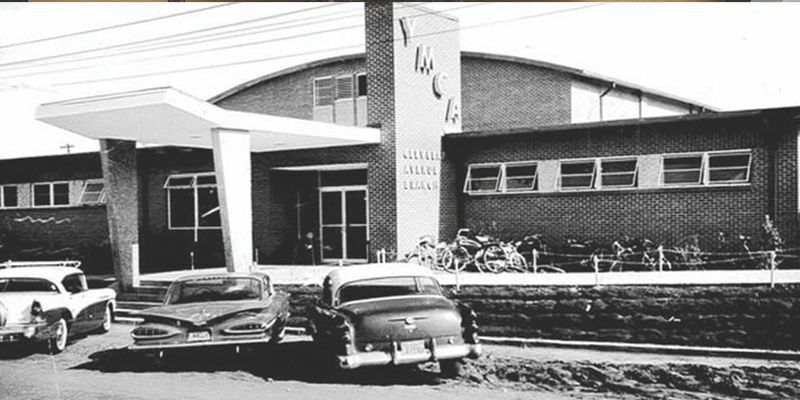 Community Leaders came together in the 1950s to build four new branches to replace the aging Downtown YMCA – the East Y, the Cleveland Avenue Y, the Southeast Y and the Central Y. These two campaigns raised over 2.2 million dollars, quite a feat during that time. Montgomery was the first YMCA in the country in a city our size to have multiple branches. The program expanded to women and girls and was only made possible through the dedication of community leaders to the YMCA mission. In 1996, the community raised over 4.5 million dollars with lofty goals to reach even more young people spiritually, mentally and physically. Our 1996 Fund Drive built a new bathhouse and completely renovated the Dining Hall at Camp Chandler. These improvements resulted in 2,000 more children experiencing Camp Chandler through summer camp or Outdoor Education during the school year. Also during 1996, the YMCA Goodtimes Program, which offers quality, affordable childcare for before and after school, and during the summer and school holidays, serving over 1,300 children daily at 28 sites, built a new gymnasium. The gymnasium allowed us to serve an additional 100 children during the summer as well as to expand girls sports. The 1996 campaign also transformed Camp Grandview into the Grandview YMCA and Conference Center serving over 225 families as a full-service YMCA in Millbrook. The new building included a fitness center, childcare room, gymnasium, and office space. The Montgomery YMCA opened the doors to a state-of-the-art indoor soccer facility in 1999. Soccer now involves 2,700 boys and girls. The YMCA soccer complex now hosts seven state and regional tournaments a year drawing over a 100 teams to each. Also in 1999, the youth program branch moved into the brand new Britton YMCA. This new facility provides staff headquarters for teen programs. This branch is unique in the world of YMCA’s – dedicated 100% to 2,400 high school youth. The Montgomery YMCA stayed on the cutting edge of program delivery with the opening of the Cultural Arts and Education Center in 2000. This new facility makes dance, music, drama, computer and fine arts classes accessible to all of Montgomery’s youth. The Bell Road YMCA also doubled the size of their adult fitness facility to keep up with demand. Over 500 people take part in aerobics and spinning classes and the fitness center there each week. The aforementioned projects positioned the Montgomery YMCA for tremendous growth over the past few years. The Montgomery YMCA has doubled the amount of people served annually since 1988 from 30,000 to over 65,000. An average of 11,000 people are served daily in the summer at our YMCAs. As a result, our budget has more than tripled. Buildings are nice, but they are just the tools of the trade – providing programs, which build youth and adults in spirit, mind and body. These are the programs of the Montgomery YMCA. In recent years, the YMCA has taken a special interest in youth that need our help. We have dedicated ourselves to helping youth in trouble get back on the right track. The Montgomery YMCA has been a leader in this area in our community. Since the 1950’s, the Montgomery YMCA has been a place for the whole family to develop together. Known around the YMCA movement for its work with teenagers, the Britton YMCA continues to offer an array of challenging and appealing activities that attract over 3,000 youth annually. Two of the flagship youth programs in the state of Alabama are our YMCA Youth Legislature and Youth Judicial programs. The Montgomery YMCA’s signature event, Man of the Year, is completely run by our youth. Our Sports Programs, from mini-soccer and t-ball, to football and basketball, and from cheerleading to competitive soccer, served over 10,000 total participants. In recent years, our girl’s sports program including, girl’s basketball and volleyball, too, had tremendous growth. The YMCA pioneered the field of swim instruction and lifesaving and continues today to be the leader in this area. Thousands of young people have learned to swim at the YMCA. Our Aquatic Program extends all the way from family recreation to competitive swim team. The Montgomery YMCA has expanded its programs to include branches in Greenville, Millbrook, Tuskegee, and Wetumpka. The YMCA is serving more people than ever before and increasing the quality of life in other communities. Throughout the United States, the YMCA is the single largest provider of childcare. Here in Montgomery, our program begins with infant care and pre-school at the East YMCA. The Goodtimes Program offers working parents a solution of how to care for their children while at work. One of the Montgomery YMCA’s oldest programs is Camping. From the Camp Chandler residence camp program to the day camp at Camp Grandview, we offer programs for all ages and stages of development. Our camping program reaches more than 20,000 participants annually. 4,500 children come to camp each year to experience the great outdoors on a school field trip in our Outdoor Education Program. While truly a youth oriented YMCA, the Montgomery YMCA offers a wide variety of adult programs. We strive to help Montgomerians maintain a vibrant and healthy lifestyle. Today’s YMCA is a testament to the commitment of time, money and energy that past leaders have bestowed upon the Montgomery YMCA.